Oh my goodness, I realized I have not been writing on this blog for months! The only reason why I managed to realize that I should be writing today is because I am actually stuck in the apartment, unable to do much else except do a little reading in between falling asleep, and just resting. I developed bronchitis over the last day in Milan during fashion week– as a result of a few factors: jet lag, not getting enough restful sleep, getting wet in the rain, and I suppose just having a weakened immune system. So today, I might as well do a little writing (before I nod off again). 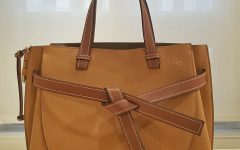 I was in Milan last week for fashion week, and despite being ill, I managed to attend a few shows and see a few presentations. I was honestly not expecting to see a lot of SS 2019 collections that would impress me. The past few seasons haven’t been all that mind- blowing either, with only a very, very few exceptions. 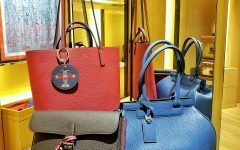 It seems that fashion is steering away from sophisticated luxe and is moving towards a more casual, street, sporty vibe. Unfortunately though, this is not the fashion style that resonates with me, and perhaps I am one of the select few who cannot understand why streetwear brands like Supreme, Vetements, and Off- White cost so much. Obviously Im not exactly a fan of any of those brands. 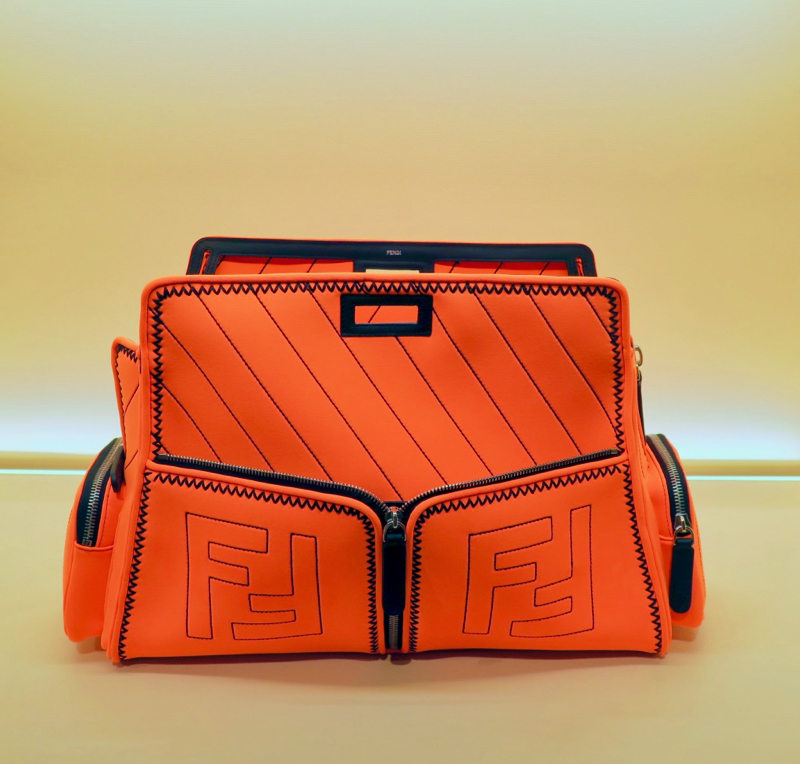 Last season’s Fendi show which featured logo bags as well as the brand name in a Fila motif, with a more sporty feel, was an exception– I actually did like it. has been given a more sporty Defender this season. In fluo neoprene– available in yellow, orange, pink. The basic Defender was also fitted with more pockets– perfect for travel! 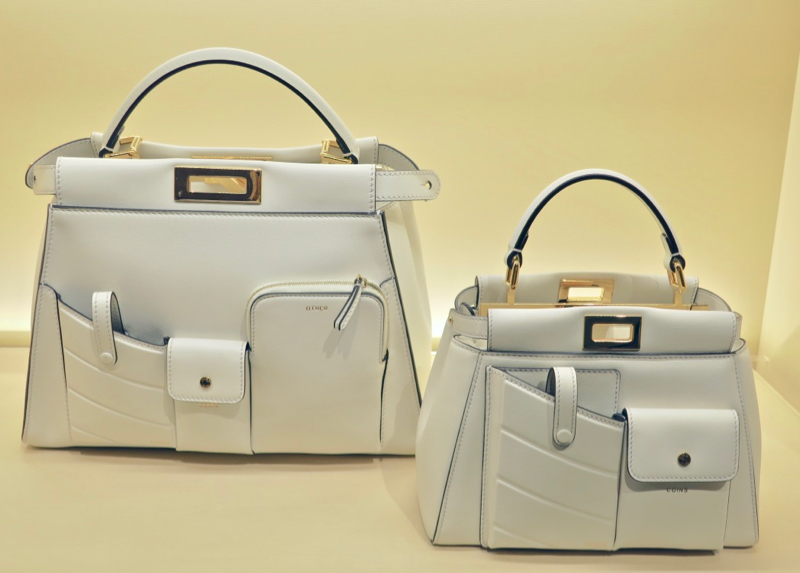 For Spring Summer 2019, the actual leather Peekaboo bag itself has become more utilitarian and functional with the addition of exterior pockets as well! And they come in two sizes (as seen on the white) and different colors as well (I love the white, navy, and orange). 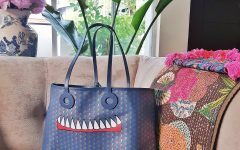 I have resisted the urge to buy a Peekaboo bag for years. 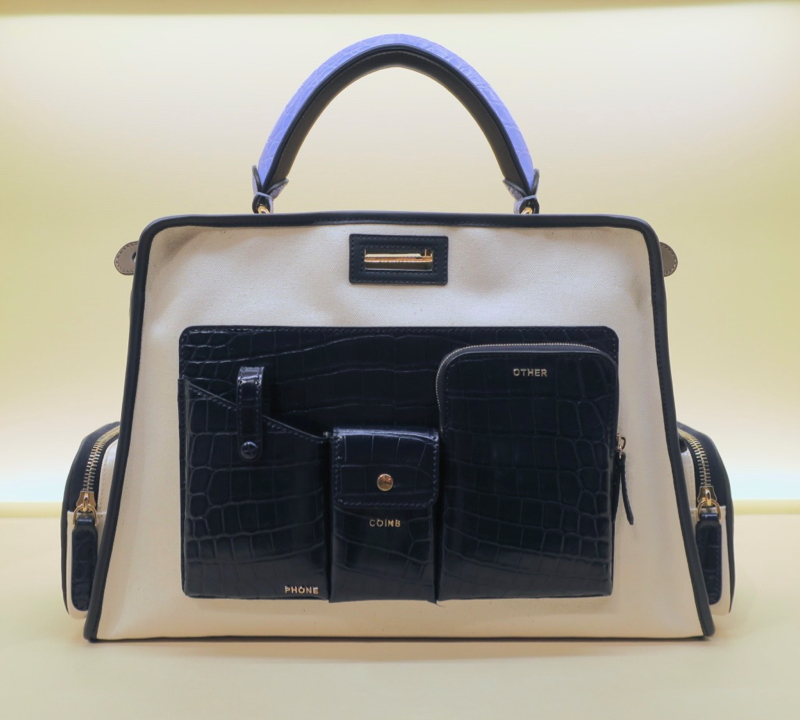 But it looks like I’m going to be on the list for this bag come 2019– over 10 years after its launch (the Peekaboo has just celebrated its 10th birthday this September 2018). 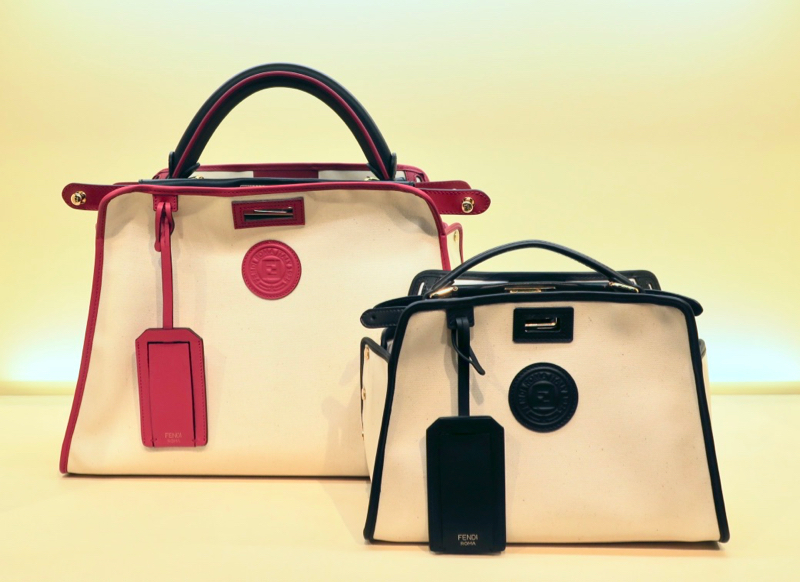 It’s definitely time to start saving up for a bag again! P.S. 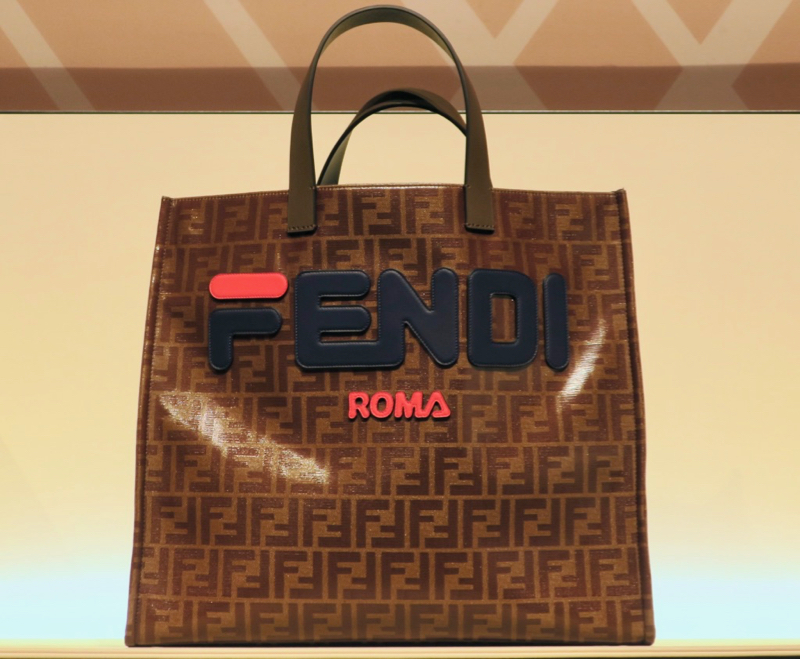 Spring Summer 2019 collection bags will be made available at your Fendi boutiques in early 2019 (March onwards… or sooner).